This product is new, in the package. The red pickup has a trailer hitch and the car hauler has ramps and an adjustable trailer jack. This product is new, in the package. It is part of Series One - Hitched Homes. This travel includes an awning. Some assembly required. This product is new, in the package. This die-cast trailer is featured in the Hitched Home Series 1. This product is new, in the package. The die-cast trailer includes an awning. Some assembly required. This trailer is part of the Series One Hitched Homes Series. This product is new, in the package. The die-cast trailer is part of the Series One Hitched Homes Series. This product is new, in the package. The die-cast trailer includes an awning. Some assembly required. the trailer is part of the Series One Hitched Home Series. This product is new, in the package. It contains two 7240 tractors. This product is new, in the package. This product is metal die-cast. This item is new, in the package. This product is new, in the pakcage. This product is new, in the package. It is only available in blue. This product is new, in the package. This tractor has authentic decals, diecast frame and body, front weights, and dual wheels all around. It features a 3 point hitch (does not raise and lower) for attaching to 1/64th implements. It has single tires on the front and duals on the back. This 1/64th scale combine features duals, feeder housing that moves up and down, mirrors, railings, 12 row and 30 ft. heads. This set contains a 6670 and a 6690 tractors. It is new, in the package. A yard of this fabric has four different picture panels. The main colors are Allis orange and a bright blue color. Mailing cost may be reduced depending on your postal zone and yardage purchased. This tractor was made by Spec-Cast. It is new, in the package. Four Aryshire cows are in the package. Four cows are in the package. Seven pigs are in the package. This product is new, in a display box. This tractor was made by Spec Cast. It is new, in the box. Four cows are in the package. These animals have been hand painted. These animals have been hand painted. This coloring book is new. The shipping cost will be adjusted. This truck is new, in the package. This set is new, in the package. This product is new, in the package. This set was made in construction color - yellow. This product is new, in a boxed package. This combine is new, in the box. This product is new, in a boxed set. It contains a Steiger 535 PRO, Magnum 335, Puma 210 CVT, Maxxum 140, and Farmall 95. This is a Magnum Collector Set. It is new, in a boxed package. This product is new, in the package. The topper boom raises and lowers and the elevator assembly pivots. This product is new, in the box. This combine features a 16 row corn head and a 30 ft. bean platform. It has large front tires. This product is new, in the package. This combine has 'Farm Show 2009' printed on the bottom, a pivoting unloading auger, mirror and warning arms, and detailed platform railings. This Authentic combine is new, in the box. 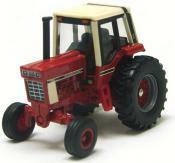 This tractor was produced by Toy Farmer. It is new, in the box. A limited number are available. Get yours now. It is 1/43rd scale. This product is new, in the package. It includes 2 modules and a DVD. This product is new, in the package. It is made by Spec Cast. This product is new, in the package. 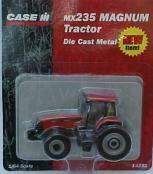 It contains Case L, Farmall H, WD9, and Case 600. This product is new, in the package and includes a Collector card. This product is new, in the package. The tractor has dual wheels. This product is new, in the package. The set includes a MX 110 tractor, 8312 mower, 8465 baler, 5 hay bales and a flat bed wagon. This product is new, in the package. It contains a MXU 115, a MX 215 with spaced duals, a SPX 4420 Sprayer, a WDX 1902 Windrower and a STX 530 Tractor with dual wheels. 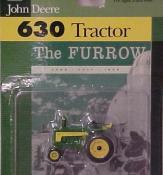 This set includes two 7250 - 50th edition tractors. It is new, in the package. This product is new, in the package. It is sprinkled with "snow." This product is new, in the package. It has both heads. This product is new, in the box. It has both a corn header and a flex, draper header. This set was made to commemorate the IH Technolgoy Center at Burr Ridge. The back of the package has the story that began in 1917. This product is new, in the package. It features rear duals. This product is new, in the package. The tractor has dual rear wheels. This set is new, in a boxed package. This product is new, in the package with a Collector card included. The tractor has duals on the back and spaced, duals on the front. This product is new, in the package. This is a row crop tractor with rear duals. This product is new, in the package. Make your own STX 440. This product is new, in the box. This is a gold chase unit. This product is new, in the package. It features duals. This set is new, in the package. It contains 2 5088 tractors. This product is new, in the package. It features a tandem axle, a pickup head and the shute raises and lowers. This tractor has wide tires and is new, in the package. This item is a 14-foot string of 20 lights that can be for patio, party, or holiday. They are for indoor or outdoor use. This product is new, in the package. It has rear duals. This product is new, in a display-type box. This product is new, in the package. Call and reserve yours now. 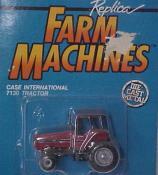 This Case tractor key chain is a 4-wheel drive tractor. It is new, in the package. This set includes two 2594 tractors. The semi is a Mac with a bulldog hood ornament. This set includes two 2594 tractors. It is new, in the package. This product is new, in the package. It has single tires with an extended axle. This tractor comes with a quick hitch. This product is new, in the package. This tractor comes with rear dual tires and a quick hitch. This truck was made by SpecCast. It is new, in the box. These animals have been hand painted. Four cows are in the package. Twelve chickens and four geese are in the package. This candle is in the shape of a cotton bale and burns for over 40 hours. This candle in the shape of a cotton boll burns for over 40 hours. This product is new, in the package. Order yours now. Red Angus cow is laying down. These are available for purchase individually. This item raises and lowers. It is available in CAT color only. Since this is a custom-made piece, please contact us if you need this item by a specific date. Duals are shown in picture. A large variety of chemical tanks are available. This item is available in silver or yellow. Choose from list of colors available. This item is available in green. Since this is a custom-made piece, please contact us if you need this item by a specific date. This piece is heavy enough to feel like the fuel is already in it. This item has a pull-type hook. Since this is a custom-made piece, please contact us if you need this item by a specific date. This item has a pull-type hookup. Please call for availability of red. Since this is a custom-made piece, please contact us if you need this item by a specific date. This item comes with a pull-type hook-up. Since this is a custom-made piece, please contact us if you need this item by a specific date. This item is available in blue, red or green. Red is pictured. Choose from the list of colors available. This item is available in red, green, or blue. Green is pictured. Pick from the list of colors available. This item comes with an adaptor for a 3 point hitch. This item is available in green. This product has an adaptor for a 3 point hitch. Pick from the colors available. This item is available in CAT, green, or red. Choose from list of available colors. This item is available in red, green, or CAT. Red is pictured. 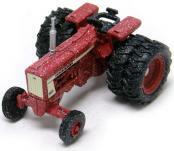 If you are in need of a 1/64th scale hooded sprayer, please email us. Specify which color toolbar and hoods. This item is available in red, green, blue or CAT color. This customized tractor has real rubber tires on the rear. They are 700/65x38. This is a customized tractor with real rubber dual back tires and FWA. This is a customized tractor with real rubber dual back tires, FWA dual tires, & a quick hitch. Choose 230, 235, 255, or 285. This is a customized tractor with the original dual tires. It has a front tank and a quick hitch. The Case tractor of your choice will be customized with a quick hitch and real rubber tires. The picture shown is a Case STX 535. This tractor has 750/85x38 tires. The duals can be spaced or close. This tractor will be customized for you with a quick hitch. This tractor can have 750/85x38 or 710/70x38 tires. They can be spaced duals or close. A quick hitch can be added for $8.00. This tractor can have 750/85x38 or 710/70x38 tires. A quick hitch can be added for $8.00. This is a customized tractor with a front tank. The tires are 710/70x38. The duals can be spaced or close together. This is a customized tractor with real rubber single tires. This tractor has real rubber tires. This tractor can have spaced duals, 710/70x38 or close ones. A quick hitch can be added for $8.00. This tractor has 30.5/32R tires. A quick hitch can be added for $8.00. This tractor can have spaced duals, 700/85 x 38 or close ones. A quick hitch can be added for $8.00. This tractor has 710/70x38 dual tires. A quick hitch can be added for $8.00. This is a customized tractor with real rubber dual back tires. 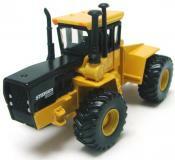 This tractor can have spaced dual tires or close ones, 750/85x38. A quick hitch can be added for $8.00. This tractor can have spaced duals, 750/85x38 or close ones. A quick hitch can be added for 48.00. This is a customized tractor with dual front & back real rubber tires. This is a customized tractor with real rubber tires. This tractor can have spaced duals, 700/70R38 or close ones. A quick hitch can be added for $8.00. This tractor has 800/70 R38 tires. A quick hitch can be added for $8.00. Choose 8870, 9200 or 9420. Choose 8400T, 9200T, 9420T or 9620T. This tractor can be customized for you. Choose MX235, MX240, MX255 or MX285. Choose Oliver, Plainsman or Minneapolis Moline. This tractor has 750/85x38 tires. A quick hitch can be add for $8.00. This Panther tractor has 700/85 x 38 tires. You can have a quick hitch added for $8.00. 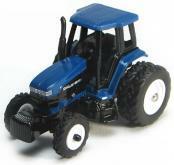 This is a customized tractor with real rubber front & back dual tires. The spaced duals are 710/70 R38. This tractor 710/70x38 dual tires. A quick hitch can be added for $8.00. This product is new, in the package. It features a black trailer and the cab is black with orange & gold stripes. You have a choice. These DCP Semis have a sleeper cab. One is a white cab with a purple stripe and the other is a blue cab with a darker blue stripe. They are new, in the box. This product is new, in the box. It has an International stub-nose cab. If you have color choice preferences, please list them in the comment section. This Shriner's semi has a maroon 379 Peterbilt sleeper cab. It is new in the box. This tanker semi has a sleeper cab and is purple. It is new, in the box. This decal is the numbers only and is available in black on white or white on black. Choose from the list of options available. These decals are all on 1 sheet. This decal is available in black, orange, or silver. This decal is available in black on clear or black on creme. This decal is available where "Butler" is in a circle or where "Butler" is in big arch letters. This decal is the numbers only. This decal is black on clear. This decal is available in dark blue or light blue. This decal is white on clear. This decal is available in red or white. This decal comes with a quantity of 2. This decal is black on white. This decal is available in black on clear, blue on white, or white on clear. Please choose from the list of colors available. 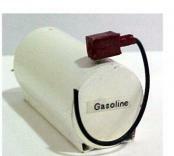 This decal is available as "Gas" or "Gasoline" and comes as a quantity of 2. This decal has the word "International" in black. This decal comes as a pair. This decal is the numbers only. The numbers are black on a white background. This item is available with black or yellow words. This decal is available in black, blue, or white. This decal also comes in the outline of the letters. This decal is available in black or red. Please choose from list of colors available. These decals are the early series and are all on 1 sheet. These decals are all on 1 sheet and quantities are limited! This item is available with 20 Farmall 806 plastic tractors each over a clear light in a 14-foot string that can be for patio, party, or holiday. They are for indoor or outdoor use. This product is new, in the package. The semi has a stub-nose cab. 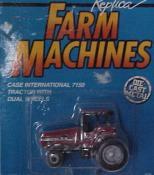 This book contains information concerning 1/32nd scale & 1/16th scale tractors. The column headings are; Brand, Model, year, Mfg., Mat., Scale, Stock #, Good, Exc., & N/Box. The mailing cost will be reduced according to your zip code. Two dogs are in the package. 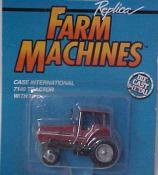 This tractor is new, in the box. It is the 12th in the Series. It is 1 of 5,000. It has rear duals and FWA. This tractor has dual wheels. It is new, in the box. This puzzle is new, in a sealed box. It has 1000 pieces and finishes at 27 inches x 19 inches. This is the 50th Anniversary set, new in the package. 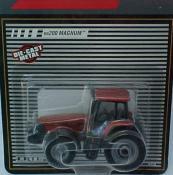 This tractors are new, packaged as a set with a collector card. Call for price. Available in November, 2009. This product is new, in the package. Thie product is new, in the package. This product is new, in the package. A Collector Card is included. This product is new, in the package. The tractor has dual tires. This tractor was made by Scale Model. This tractor is painted "gold." It is new in the package. This product is new, in the package. It is for the smaller rectangular bales. There is a mixture of adults and young in the package. This attachment is to put on a grain bin. This item would offer great customization to your farm set-up. This product is new, in the package. The truck is red. This product is new, in the package. This 1206 has no cab. It is 1st in the Heritage Iron Series and was made by Spec-Cast. These tractors are new, in the package. They were made by MINI Toys, Inc. and have rubber tires. 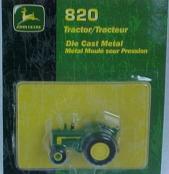 The 180-90 1987 Farm Show Edition was made by ERTL. Three horses of various colors are in the package. These animals have been hand painted. 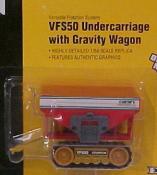 This product is new, in the 50th Anniversay box. It features a slim line tandem axle with free rolling rubber tires, rear access ladder, fan housing with guard, and unloading pipe. 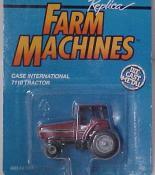 This tractor is new, in the original box. This product is new, in the package. Shipping will be reduced if this is the only item you order. This proudcut is new, in the package. The International cab is white. The hopper bottom is white with a black tarp. This product is new, in the box. It was made by First Gear and is 1:34 scale. 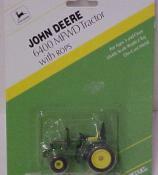 These tractors are new, in the original display-type box. The set contains a Waterloo, D, G, B 730, 4020,4430, 4450, 8400 and 9520. These tractors are in a new, boxed package. This product is new, in the package. It includes 6 bales. This product is new, in the package. Because of the fragile nature of this product, we highly recommend that the customer authorize insurance for shipment. Set of 4 tractors - 4010, 4020, 4320 & 4620. This set has 3 4020 tractors with one being golden. This product is new in the package. 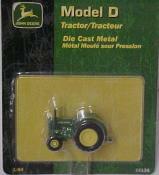 This product is in the new John Deere packaging. 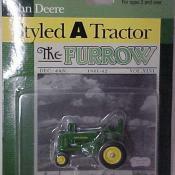 This tractor is new, in the package. This spreader has the new leader bed on it just like the real thing. This set contains a 8010, a 9620, a 8770 and a 7620. It is new, in the box. This product is new, in the package. It also contains 6 round bales. This product is new, in the box. The toy has free rolling wheets, pivoting spout and removable corn head. This product is new, in the box. It was made by Spec Cast. This combine is new, in the box. The combine has a yellow roof. This product is new, in the package. It includes a round module of "cotton." We also sell additional modules for $3.00 each. This 4-piece set is in a new display-type box. 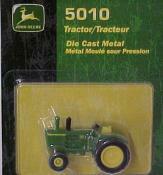 This tractor is new, in the package. It comes with a Collector Card. This tractor has wider back tires and is new in the package. This product is new, in the package. This 8770 has triples. This combine is new, in the box. The cab has clear windows. This 1/32nd scale blade is black and new in the package. This product is new, in the package. This combine has a 12 row corn head and a 30 foot grain head. This air freshener is in the shape of a John Deere tractor. It has a vanilla scent. This is a 3-tractor set. This product is new, in the package. Hay or straw bales may be bought separately. This puzzle has over 1000 pieces. It is new, in a cellophane-wrapped box. It is a product of the Gream American Puzzle Company. When completed it will measure 19 1/4 inches x 26 5/8 inches. This chair folds up and has its own canvas carrying bag. 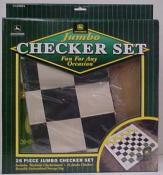 This set provides a cloth checker board along with green and yellow checkers. This set is new, in the box. It contains the following tractors: a 50, a 520 and a 530. This ornament is available with corn head or reel head. This cotton picker is new, in the package. 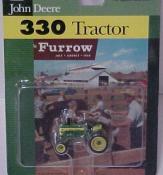 This boxed set contains a Model 330, a Model 430 Tricycle Front and a Model 430. This boxed set includes a grain semi, a combine, a grain cart and a tractor. This product is new, in the package. The truck is a white ERTL Peterbilt with a sleeper cab. The front tires on the tractors are single, row crop. This product is new, in the box. The package contains Waterloo Boy, Model R, Model G, and Model M.
JD Insulated Mug - 34 oz. This product is new, in the package. The pickup is black with a John Deere emblem on the door. This is a new puzzle, in a sealed box. It will be 2 feet x 3 feet when finished. It has 24 pieces. This item also comes in 4WD. Choose from list of options available. JD Monster 9630 - 3"
JD Monster Lawn Mower - 3"
This product is new, in the package. It contains a Collector Coin. This product is new, in the package. It contains a Collector Coin. The tractor has dual wheels on the back. This product is new, in the package. It contains a Collector Coin. The tractor has duals. This product is new, in the package. It contains a Collector Card. This puzzle, when finished, will be 26 3/4" x 19 1/4". This puzzle is new, in a sealed box. It will measure 2 feet x 3 feet when completed. It has 24 pieces. This combine is new, in the box. It has a corn head and a reel header. This product is new, in the box. It contains a metal header trailer and two heads. This new product is in the shape of a flatened corn cob and vibrates when a child puts pressure on it. This product is 1/32nd scale. It is new, in the package. This product is new. The toy has a pull string and when pulled, the toy makes a sawing noise. 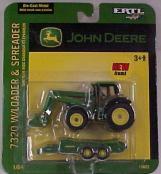 This set includes two John Deere tractors. The semi is a Mac with a bulldog hood ornament. This product is new, in the package. It contains 7520, 7920, 8520, 8520T, 9620 and 9620T. This Special Edition 2003 Scale Model product is new, in the package. Please call for more details. This product is new, in the box. It was made by SpecCast. This puzzle has 1000 pieces and will be a 27" x 20" puzzle when finished. It features the artwork of Charles Freitag with an IH 1466 tractor and a Farmall 1206. This tractor is 1 of 9,999. It is new, in the package. It features triples on the rear. This product is new, in the package. The tractor has duals on the rear. This product is new, in the package. This tractor features authentic decals, diecast frame and body, front weights, large wheels, and front fenders like European tractors. 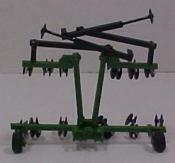 It also includes a 3 point hitch (does not raise and lower) for attaching to 1/64th implements. Coming this fall. This 1/64th scale combine features single flotation tire, feeder housing that moves up and down, mirrors, railings, 12 row and 30 ft. heads. Reserve one today.